A wind swept texture on The Great Sand Dunes of the San Luis Valley, CO. 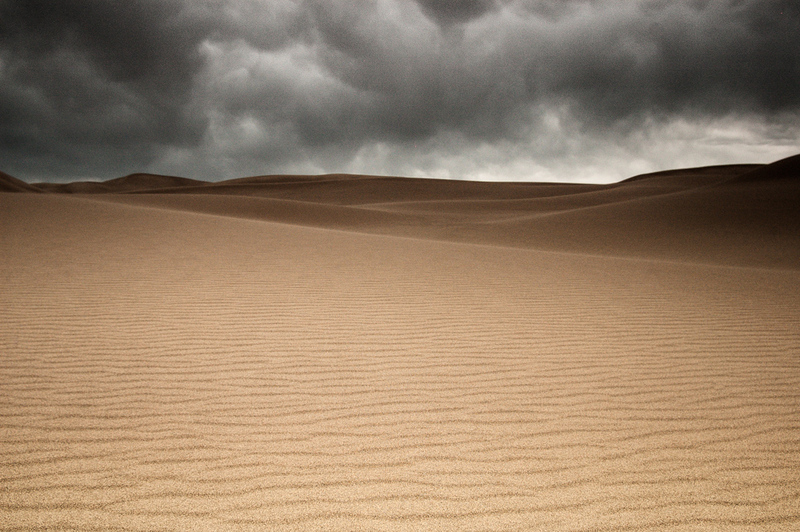 The dunes preserve their identity, with a gust of wind and a shower of rain – erasing the foot prints of its visitors. Wind is the great eraser. Looks like a storm is brewing. Amazing landscape. Great landscape, great toning ! wow. i really like this and the subtle tones overall.